At Starkwood Chiropractic in Portland, Oregon, we are committed to patient satisfaction and well-being. Using a drug-free, non-surgical approach, we provide outstanding chiropractic care. Whether you experience chronic lower back pain or feel discomfort following a minor car accident, we have the experience and expertise to help you recover quickly and comfortably. No other Portland chiropractor can match our devotion to our patients’ comfort and health. We specialize in performing spinal adjustments for our patients who are experiencing back or neck pain. The typical spinal adjustment involves applying pressure to the lower and upper back, which manipulates spinal joints back into place and relieves pain. Nearly every nerve in your body passes through the vertebrae in your spine. These vertebrae are held in place by a vast number of different muscles and ligaments. When your spine’s alignment is compromised, nerves can become pinched or damaged. Sitting and slouching for hours at a time is hard on your spinal structure. Being involved in a car accident can also cause your spine to become misaligned. This is called spinal subluxation. The impact trauma can cause the joints and ligaments in your spine to move out of place, resulting in considerable pain and soreness. The pain from such a misalignment does not simply go away with time. In fact, the pain often worsens if left untreated. Luckily, chiropractors are trained to deal with such injuries. Rather than masking your spinal misalignment symptoms with medications, we treat the problem at the source. We can gently and effectively manipulate your spine back into its natural alignment, which will take the pressure off your muscles, ligaments, and nerves. 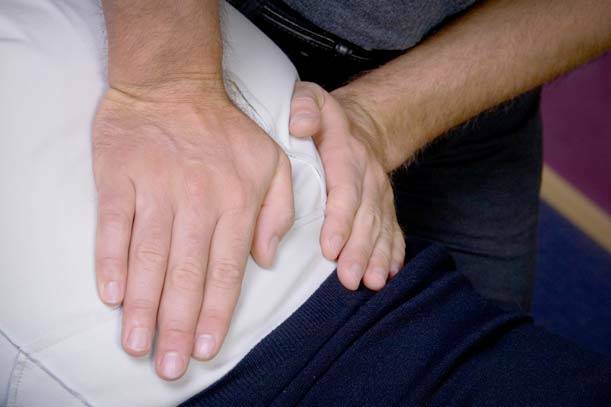 We are especially proficient at performing spinal adjustments for injury-related back pain. We work closely with our patients and their physicians in order to determine the best approach for alleviating pain. Our chiropractic doctors and assistants have more than 30 years’ combined experience, so they are equipped to handle any spinal issues you are having. If you are sick and tired of being in constant pain, contact us today to schedule an appointment. Our spinal adjustments could be just what you need.